Seek your doctor’s advice before considering prenatal yoga. Do not make a hasty decision, until you have considered all advice from your medical professionals and have found a certified prenatal yoga teacher in your community. It is very good that you become aware of yoga’s importance which creates great impact on health of your own and your unborn baby. Below are three therapeutic yoga methods, which will be part of your prenatal routine. In breathing, diaphragm is the chief breathing muscle. Through breathing respiratory and cardiovascular systems bring in oxygen and circulate it to every cell in the body. Many people breathe shallow or tense in which diaphragm movements are not proper and shallow breathing does not draw enough oxygen required for body. Breathing correctly is essential to life so it is important to practice breathing exercise. Breathing exercises like Alternate nostril and whispering breathing benefits a lot during first trimester. It improves blood circulation, you feel sinuses and nasal passage clean, your mind gets calm and you will get deep sleep during night. Proper breathing is very important as the fetus depends on the woman for satisfactory growth and development. Proper oxygenation contributes greatly to the health and well-being of the woman and consequently to that of the fetus. Breath and emotions are closely linked. Good emotional balance is very desirable in pregnancy and childbirth. Observe how shallow and irregular your breathing becomes if you are upset and when you feel happy notice the smoothness, depth and regularity of your breathing. Thus body, mind, emotions and breath are inseparable. By observing your breath you will develop skill in increasing the length of both inhalation and exhalation as well as the movements of diaphragm. Relaxation is very useful for complete health i.e. physical, mental and emotional. Pregnant woman gets tired very easily so it is very important that they have frequent rest periods throughout the day and create the opportunities for relaxation. 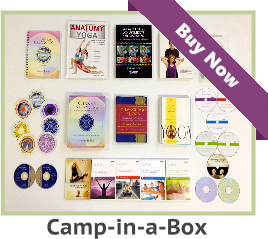 This involves aligning your body and mind to become completely still and peaceful. The way to do this is to focus on your breathing rhythm and also on the way that gravity supports your body so that you can let go of your muscles. You might like to end this by bringing your awareness to the presence of your baby. 1) Before starting yoga your body is stiff to some extent. Asana gives flexibility to your body and this requires stretching of muscles and joints. 2) In pregnancy your body releases the hormone relaxin that softens your ligaments and supports the joints to prepare for an easier delivery. 3) In pregnancy due to these hormonal changes ligaments need to be stretched slowly and gradually without forcing. 4) You are beginner and in first trimester which is very important time as there are more chances of miscarriage. Hence some Asana may not be suitable for you. E.g. : Inversion poses like “Legs up to Wall”, “Dog Pose”. 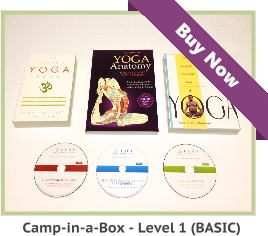 Generally for beginners we recommend few asana, breathing exercises, and relaxation. Recommended Asanas: Tadasana, Balasana are good for you. Tadasana will help you to be centered and grounded. It tones muscles of leg, pelvis, abdomen and chest cultivating the habit of standing tall. Balasana relieves the backache allowing paraspinal muscles to stretch and relax. Amruta Kulkarni is a certified Yoga teacher and an exclusive author for Aura Wellness Center. 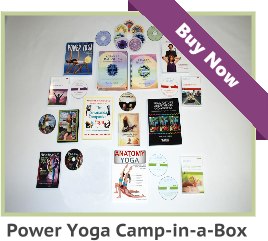 Click here for more information about our yoga teacher certification courses.